News and Rumors are gathered from various different websites. One particular website is not favored over another. All rumors are rumors and are to be taken with a grain of salt. The T-Rex Cafe is said to be ahead of schedule. They are saying it will open in the middle of October now. The new quick service restaurant being built where the Concourse Steakhouse was is set to be called "Contempo Cafe." Disney's water parks are closing earlier this year. Blizzard Beach will be closed Sept. 28-Oct. 26 and Typhoon Lagoon is set to close Oct. 26-March 22, 2009. This fall, at the Cape May Cafe, Chip and Dale will no longer appear. Donald, will instead, take their place. 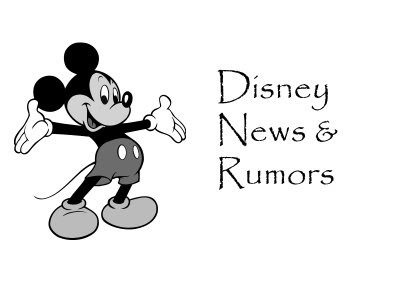 Some new rumors are coming out about Disney's 40th Celebration at WDW for Epcot and DHS. Of course, it's been rumored at DHS that Star Tours will be receiving a massive refurb, including updates to it's film, queue, story, and store. These are rumored to be done by 2011. Also rumored, Soarin in Epcot will be receiving a new film, focusing on touring the World. This is possibly set to debut in 2009. Some are now saying that Space Mountain's refurb is being pushed back until April and will be much shorter than originally anticipated, reopening in November. Splash Mountain will have their annual refurb again in January. The Hall of Presidents are now being rumored to be out of commission through August of next year now...not July like originally reported. Philharmagic will be down for refurb, the end of January-mid February. As of Sept. 20, 4 For a Dollar, the group that performs before Beauty and the Beast the The Studios will be no more.